Service | Simon J. Berrebi, Ph.D. In 2014, I founded the MARTA Army, a non-profit empowering Metro Atlanta residents to improve the transit ridership experience in their own neighborhoods. Under my leadership, MARTA Army recruited over 400 volunteers throughout the Atlanta Region to adopt their neighborhood bus stops. We produced laminated signs with route and schedule information for volunteers to place at their adopted stops. This program prompted the State of Georgia to award a historic $3.8 million to improve bus stop signage throughout the region. The MARTA Army is also a force of resilience in the Atlanta Region. 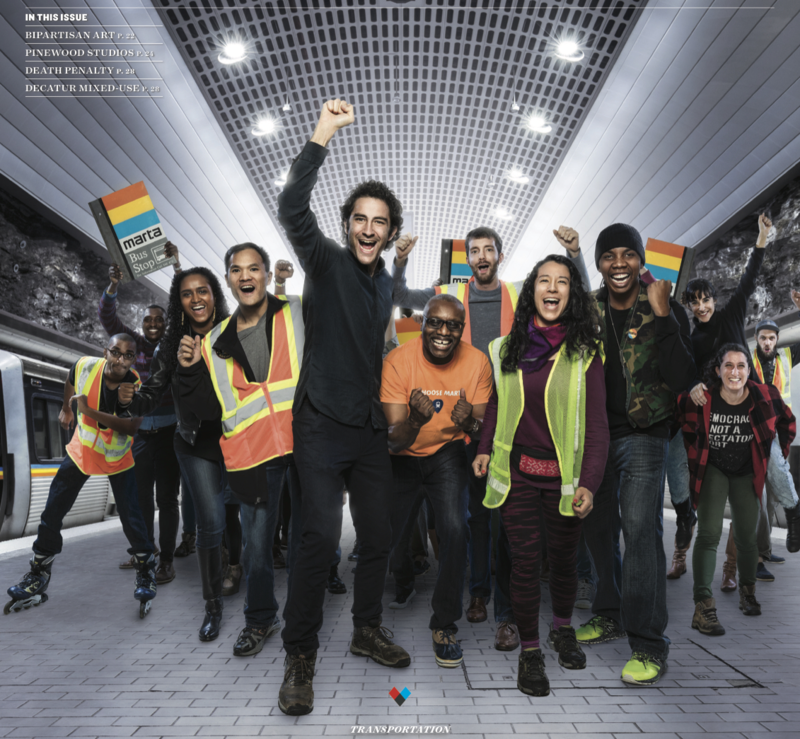 In the wake of the I-85 bridge collapse last spring, 50 volunteers with neon vests were stationed at 10 stations across the network to help first-time transit users navigate the system.